Craig Ogden performs 'Roots' at 'BBC Northern Ireland at 90 Concert' live from the Ulster Hall, Belfast. John Toal presented a special Ulster Orchestra gala concert celebrating 90 years of BBC services in Northern Ireland at the Ulster Hall in Belfast last night. Guest performers included Craig Ogden and Duke Special amongst others. The 'BBC Northern Ireland at 90' concert' was broadcast live on the night and Craig performed 'March Hare' and 'Wild Horses' from Ciarán Farrell's work for guitar and orchestra entitled 'Roots'. Australian born guitarist Craig Ogden is one of the most exciting artists of his generation. He studied guitar from the age of seven and percussion from the age of thirteen. He is the youngest instrumentalist to have received a Fellowship Award from the Royal Northern College of Music in Manchester. One of the UK’s most recorded guitarists, his recordings for Virgin/EMI, Chandos, Nimbus, Hyperion, Sony and Classic FM have received wide acclaim. Craig’s Classic FM albums The Guitarist and Summertime both shot straight to No.1 in the UK classical chart in summer 2010 and 2011 respectively followed by the release of Christmas Time in November 2013. Craig’s latest recording for Classic FM ‘Summer Guitar’ was released in June 2014, also going straight to No. 1 in the classical chart. 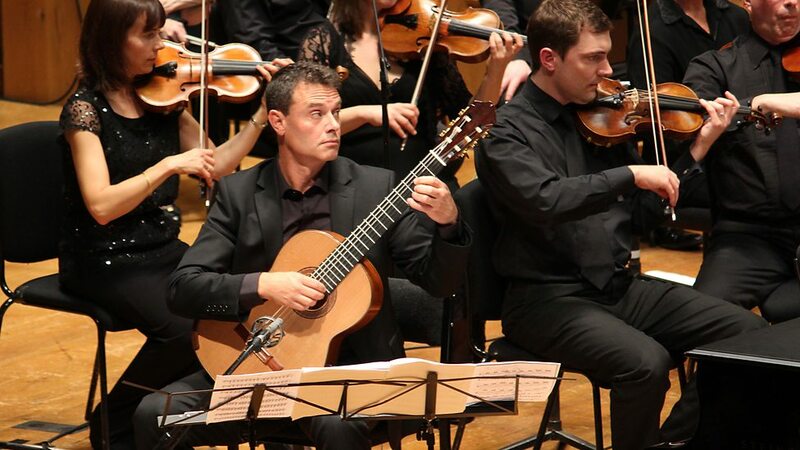 Craig Ogden has performed concertos with all of the main UK orchestras plus many abroad and has presented on BBC Radio 3 and on ABC Classic FM (Australia). Craig Ogden is Principal Lecturer in Guitar at the Royal Northern College of Music in Manchester, Visiting Lecturer at London’s Royal College of Music, Associate Artist of the Bridgewater Hall in Manchester and Director of the Dean & Chadlington Summer Music Festival.